I’ve always liked drinking my water with a slice of lemon. The lemon adds a simple touch of flavor. During the summer months I love to infuse my water with fresh fruit, cucumbers and herbs. 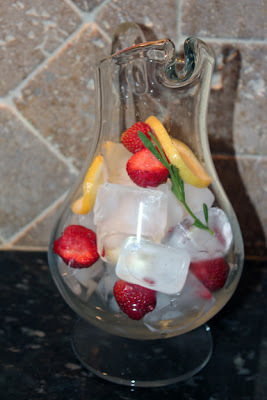 One of my favorite combinations is lemon, strawberries and rosemary. If you want to make a pitcher of flavored water all you have to do is slice up some fresh fruit, cucumbers or herbs of any combination, and place them in a pitcher with ice and cold water and chill for several hours. I usually make mine the night before or in the morning for the afternoon. 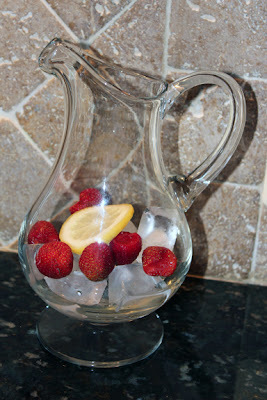 The water will pick up a light flavor and be the perfect addition to a hot summers day. I love flavored water as well, especially cucumber. I need to try rosemary though for something a little different. Thanks for sharing! this sounds like it would be all kinds of tasty. that looks so good! and it's so pretty!! Yum! I had cucumber water this weekend at a wedding and it was refreshing also! Awesome idea. 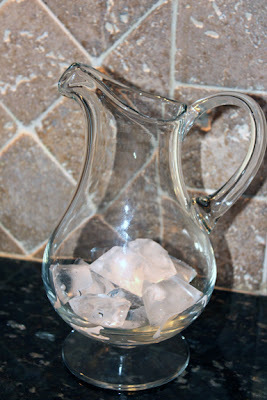 I was in Pottery Barn last weekend and they had some water out for customers. One had lemon and strawberries and the other had cucumbers. I tried the lemon and strawberry and was pleasantly surprised. I'd never tried it before. It was so refreshing. Great idea! 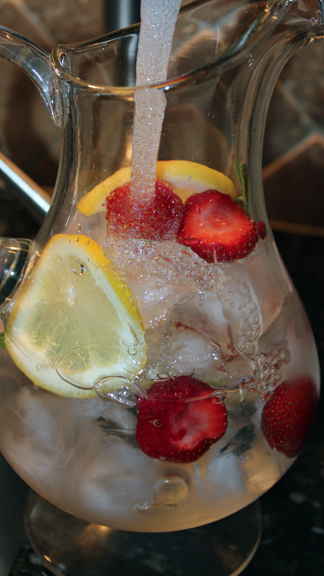 Very refreshing drink ! Looks pretty as well ! This looks delicious! 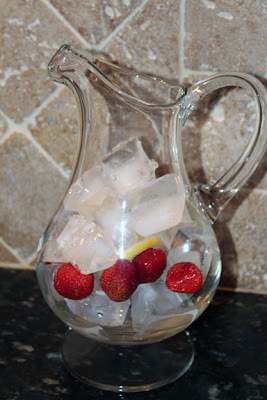 I get so tired of drinking plain water..this would definitely help that. i love this!!! i have people coming over for a breakfast tomorrow and i am serving this for sure!!! 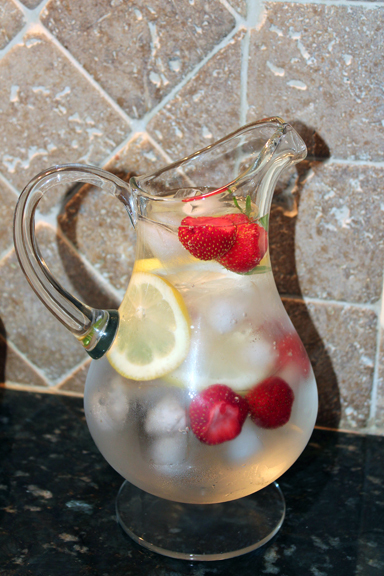 looks so refreshing! I love spa waters like this! I have serious issues with drinking water...I don't drink it because I don't like the taste of it so I am LOVING your idea. Hopefully it will work (wonders) for me! 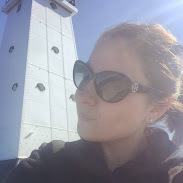 If you get a sec, I'd love to hear your thoughts on my latest blog posts.